Reverend Dr. Upolu Luma Vaai from Satupa’itea, Sataua, Vaisala, Fogasavaii in Savai’i and Sa’anapu in Upolu, has been appointed the head of the Pacific Theological College (P.T.C.). 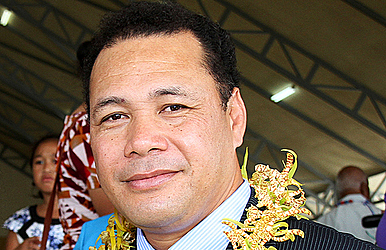 His induction as the principal of the college follows his involvement in the Methodist Church in Samoa since his ordination in 1999 and joining P.T.C. in 2014 as the head of theology and ethics. The Methodist Church in Samoa and the Christian Congregational Church of Samoa are two of the 20 churches from around the region that own the regional theological college. Reverend Upolu was born into a farming family in Savaii and from his experience he began to value the land, people and the culture. “What does God have to do with my culture, my land, and my people? Where is God in all of these,” Rev. Dr Upolu said. The questions launched him on a lifelong, remarkable journey, in search of answers. 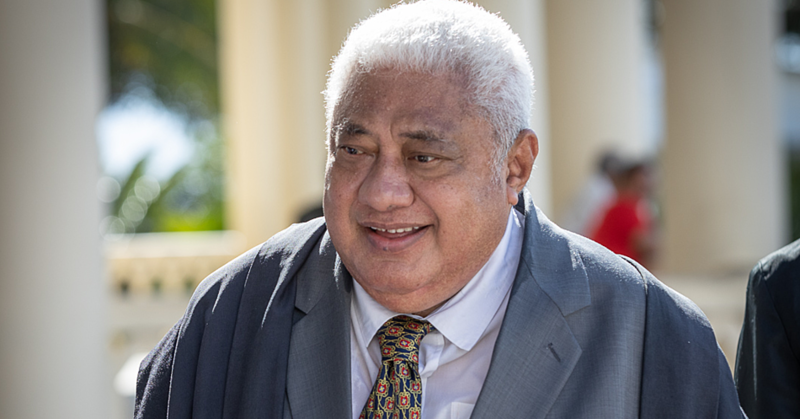 He scaled the heights of theological studies, became a Professor in Ethics and Theology, authored a renaissance series on Pacific indigenous relational and decolonising theology and now heads the Pacific’s leading ecumenical theological institute – P.T.C, which is based in Fiji. He also sits on various Pacific and international theological studies committees, teaches and has taught theology, ethics, the gospel and indigenous culture across the Pacific and supervises doctorate students from Germany, Fiji, Samoa, Australia, Tuvalu and New Zealand. He is also a member of theology associations and Councils in Oceania and other parts of the world. He has been a speaker at conferences and seminars the world over such as at the conference on world mission and evangelism in Africa, the United Nations Office and Drugs and Corruption Academic Expert workshop in Singapore, the Revival, Reform and Revolution in Global Methodism at Oxford University in England and the Samoa National Council of Churches workshops. But has he found his answer? “I’ve discovered from my academic journey and leadership positions that God is present in the sacredness of everything we have, in the spirituality that we had in the past in relation to the land and the ocean,” Rev. Dr Upolu said. 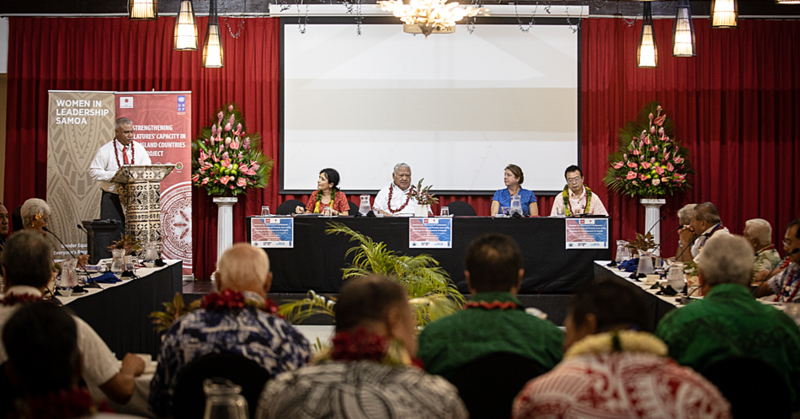 “They are actually spirituality that can reinforce Christianity and now part of my journey is to really help Pacific people to decolonise their mindsets in relation to their understanding of what Christianity has brought to the region,” he added. Part of that new journey for P.T.C. 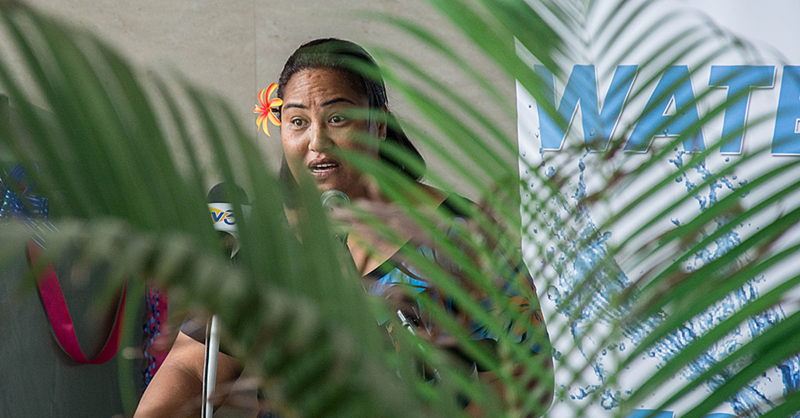 is to re-teach Pacific people and decolonise their mindsets. “The new story is how can we decolonise the Bible, that is decolonise the interpretation of the Bible and really tap into the richness of our own cultural relational values, to help create a new culture and understanding of Christianity and the gospel that liberates our people from imperial colonial intrusions,” Rev. Dr Upolu explained. “In the colonial past the Bible has been used to justify the taking away of the land from indigenous people – that’s one example of the colonial aspects of Christianity in which the Bible came together with the power of sword of the empire,” Rev. Dr Upolu added. He said God is part of that personhood.